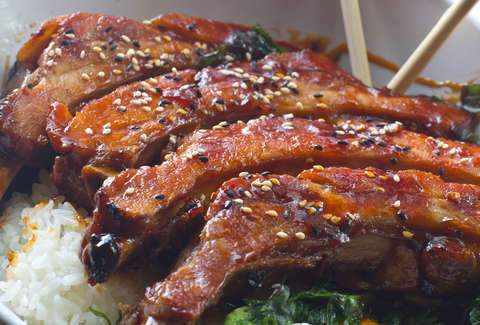 Japanese pork ribs, and deep-fried sushi... from a food truck? Atlanta's mobile food operations range from chicken-n-waffle carts to mobile po' boy stands, but, until now, the ATL's never had a sushi truck rolling down its streets. 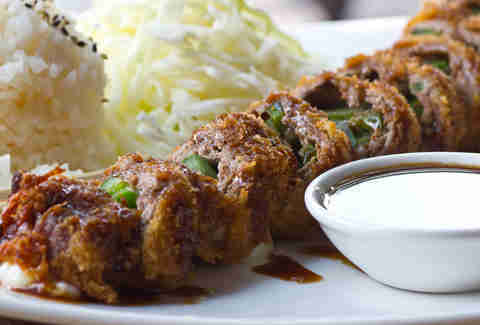 Genki-To-Go is filling the void in the scene, and in your... um, stomach with stir-fried ramen noodle bowls, Japanese barbecue ribs, and gloriously deep-fried sushi rolls. 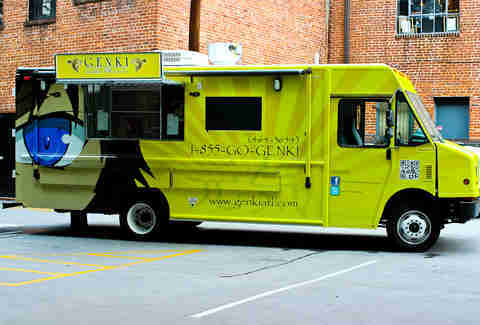 The yellow food truck emblazoned with an anime eye won't be hard to find... 'cause it's going to be at Atlanta Food Truck Park (and various office complexes, parks, etc. ), and 'cause it's: So. Darn. Bright. What is GenKatsu? It's layers of thinly sliced ribeye fried up katsu-style in a wheel of mozzarella cheese w/ jalapeño filling. 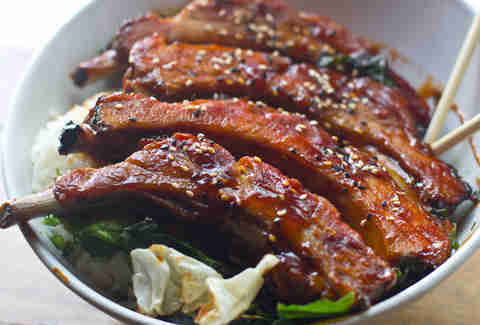 These pork ribs are marinated in Japanese barbecue sauce, served over white rice & sautéed mixed veggies, and are quite possibly the reason Wetnaps are still in business. 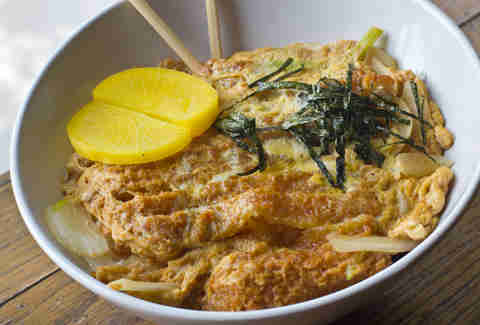 There's only one way to dig into GtG's Katsu Don (a bowl of katsu-style chicken, scrambled eggs & steamed white rice w/ onions, red ginger & shredded nori): like a boss. 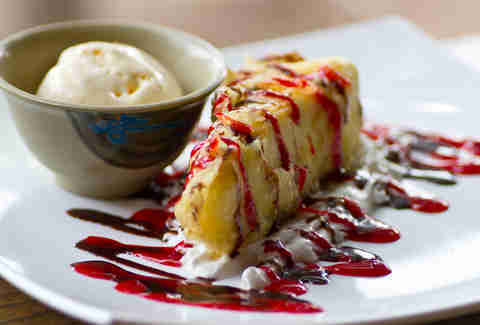 Even the desserts, like this tempura-style New York cheesecake w/ chocolate & raspberry sauce, are fried, though if you have too many of 'em the only way you'll be able to get home is to... um, roll there.